Karlovac - Plitvice Lakes... driving true the Europe you will reach Rakovica and after only few km You reach Grabovac. After petrolstation turn to the left and after 400m again left and after 300m aggain left and You will see the marvellous house with blue painted first floor. open fireplace, balcony and terrace and bathroom(shower and WC) and upstairs two bedrooms-one with doublebed and one with two beds. of the Nature with 90 waterfalls connected intact nature can everywhere go down on Your knees and drink clear and pure fresh water out of Your hands. You can rent bike to doo it by bike. Winter Wonderland. Stay and after breakfast go to the lakes till the afternoon and forward Your drive to the coast-You will reach it in late afternoon. 24-hr front desk BBQ area Bicycle rental Breakfast available Breakfast included (continental) Gardens Gift shop Laundry/valet service Linen included Open 24 Hours Parking (free) Pets allowed Pool (outdoor) Pool (outdoor/heated) Skiing Spa Sports/activities Taxi service Tennis badmington biking horsbeckriding play ground. table tennis desk spelleology trecking. Lamb on fire may bee orderd by the owner. 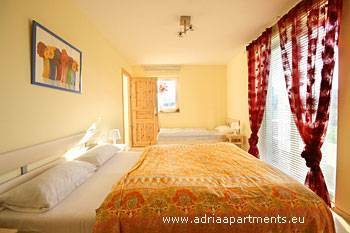 There are : two twobedroom with doublebed and bathroom, one Tripleroom with one double and one singlebed, and one Apartment upstairs with two bedrooms, kitchen, Livingroom with open fireplace and two balconies. and fantastic balcony. rafting and fishing and skiing i winter. Nationalpark of Plitvice lakes -all year attraction. Korenica -Knin-Sinj - Split (or after Sinj-in Brnaze after You passed-turn to left direction Trilj and Makarska.